If you have been inspired by one of our challenges and are sharing your work online or in stores we ask that you credit - Challenge Heaven. Word Challenge - Use the word Sunshine in your title. Quote Challenge – Finish this sentence. "A day at....."
Your layouts must be created for these challenges only and not to be used for others challenges. We'll be uploading the DT sample layouts here over the next few days, pop back in and check them out. This week - Ali uploaded this cute layout!! I Love the father and daughter moment in the pics. Who doesn't love seeing their daughter in her daddy's arms!? This is Ali's entry for the word challenge. Head over and see what everyone else has uploaded for this challenge. There are 7 great prizes up for grabs this month. Just upload a layout and you could be a randomly drawn winner, that easy!! 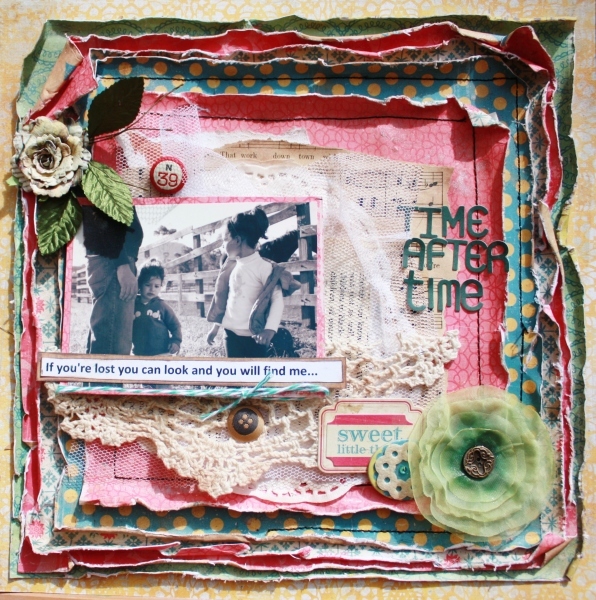 This week - new member Nadia Cannizzo has uploaded a stunning layout!! I Love all of the distressed layers she's added. I'm amazed that with all those layers and distressing Nadia has still maintained a soft, girly layout. This is Nadia's entry for the song challenge. Head over and see what everyone else has uploaded for this challenge. Hi!!! 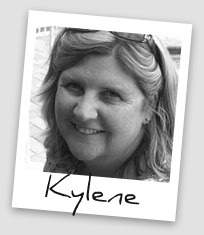 My name is Kylene, mostly known as Kye. I am married to my best friend Scott and we have been blessed with three beautiful children - 2 boys and 1 princess (Regan 8, Kaleah 7, and Beau 3 1/2). I am a busy working mum who is heavily involved with the kid’s school and sports, so it leaves me very little time to scrap these days. 5 years ago we moved from Sydney to the Gold Coast, and whilst I miss my family and friends there, we love the relaxed lifestyle and wouldn't move back. I would describe my scrapping style as minimalist - quick and easy, using White Space on my layouts, a no fuss kind of gal, but having said that my style is ever developing and changing. I will try anything at least once. Journaling is important to me, as our memories, good and bad, tend to fade and get distorted over time. 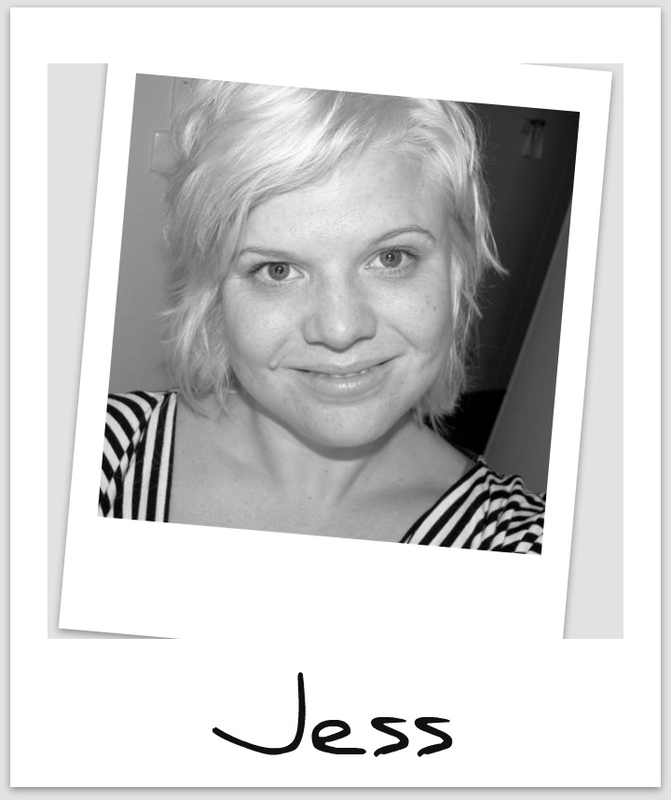 If you don't see any journaling on my layouts it is either hidden behind the photo or on the reverse of the layout. We love to go back and look at the old layouts and read the journaling to remind us of conversations and the funny things we say and do. It might sound strange, but when my layouts bring tears to my husband and kids eyes, then I am happy. At the moment I enjoy playing with glimmer mist, and loving the October Afternoon, Echo Park and My Minds Eye pp ranges. One product that features on most of my layouts is mini alpha stickers. I find them great for sub titles and journaling. 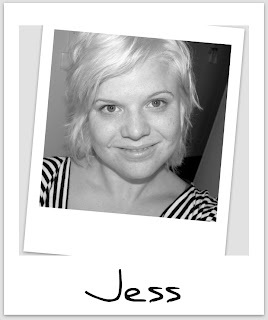 My kids, our family and life are my greatest inspiration but inspiration for my layouts can be found everywhere. Especially clothing. Yes I am guilty of buying some kids clothes for the scrapping potential it offers. When mojo is awol I love recipe scraps (or blind scraps). All I need to do is follow the instructions and I have a fantastic layout completed. Sketches are another great way to kick start the creative juices. I definitely prefer to scrap 12x12. I am not much into Off The Page creations, but I have been known to make a few items for gifts, some of which sit 1/2 finished and end up getting tossed because I am never happy with them. 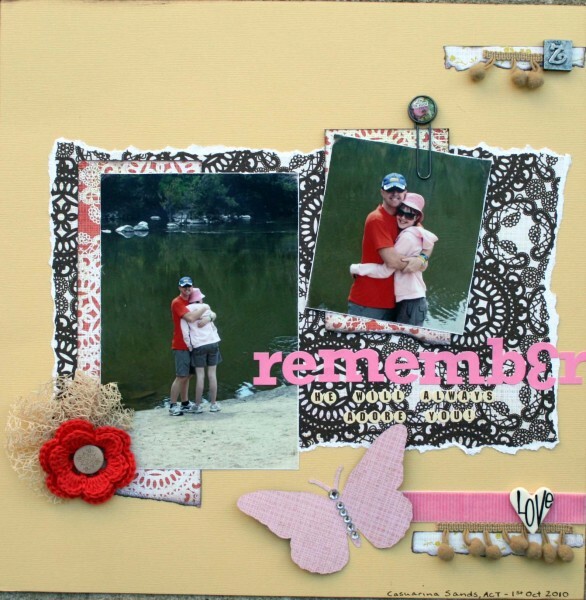 Pop over to Kye's blog and have a look at some of her gorgeous layouts! I’m a sahm to my gorgeous son Elijah who’s 2 and I’m married to my wonderful hubby Tavis. We have two mischievous dogs Charlie (golden retriever) and Ruby (Labrador). We live in a mining town in WA called Port Hedland where I spend my spare time scrapping, reading, chilling with the family and listening to tunes. I have no idea what I’d call my style.....messy, funky, fun.....I love trying new things....even if it ends up in the bin the process is always fun!